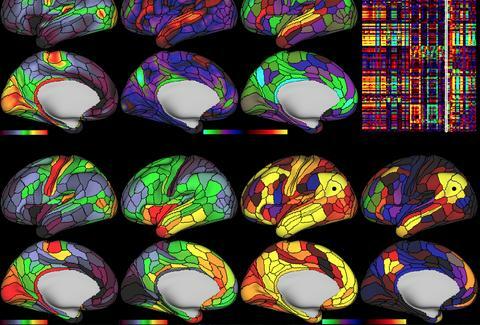 This Is the Most Detailed Map of the Human Brain. Ever. The human brain is the most mysterious organ in the human body. It controls literally every single process that keeps you alive, but also stores lyrics to a Backstreet Boys song you haven't heard since 1999, while simultaneously forgetting where you put your keys five minutes ago. A group of researchers from Washington University in St. Louis got you one step closer to finding those keys, by analyzing old and new data from around the world to plot out everything we know about what various brain regions do. 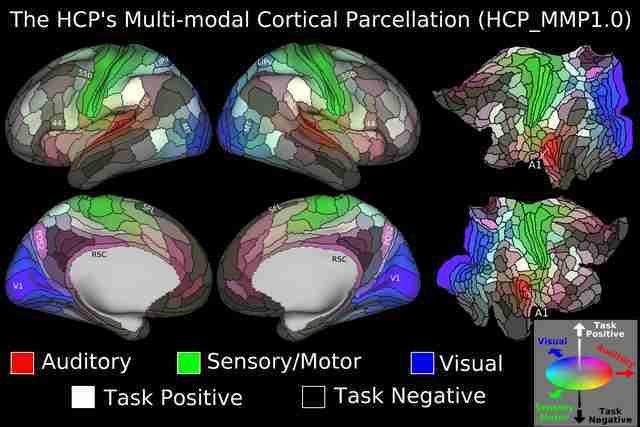 The findings revealed 97 previously unknown brain regions, and mapped out 83 that had already been cataloged. What does this mean for you? Not a whole lot, yet! Like any good map, this information's utility depends totally on how other scientists use it to make their own inferences, but the hope is that it could play a role in combatting neurodegenerative diseases like Alzheimer's. "This map you should think of as version 1.0," neuroscientist and the lead author of the new research Matthew F. Glasser told The New York Times. "There may be a version 2.0 as the data get better and more eyes look at the data. We hope the map can evolve as the science progresses." The photo below, for example, shows an area of the brain called 55b that seems to activate when people listen to stories, which means it probably has something to do with language. What exactly? Who knows! But now other researchers interested in language processing have a new region that could yield better understanding of how humans understand, well, other humans. It's all heady stuff, but you don't have to be a neurobiologist to find the most comprehensive maps of the brain ever -- like, IN HUMAN HISTORY -- fascinating. Check out some of the other photos here. Christina Stiehl is a Health and fitness staff writer for Thrillist, who possesses the most detailed brain in human history. Follow her @ChristinaStiehl.